CSR International was founded in 2009 with the mission to be an incubator for CSR 2.0, which means Transformative Corporate Sustainability & Responsibility (CSR). Since then, we have delivered CSR training around the world, welcomed many people through our internship program, shared hundreds of CSR Research Digests and licensed CSR 2.0 Assessors & Advisors. CSR International exists to promote an evolved concept of corporate sustainability and responsibility (CSR), which we call CSR 2.0. This means moving beyond defensive, charitable, promotional and strategic CSR to transformative (systemic, radical) CSR, which is based on the principles of creativity, scalability, responsiveness, glocality and circularity. We invite all who share this vision to join in our efforts to spread the concept and practice. 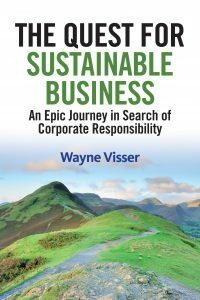 Founder of CSR International, Prof. Dr. Wayne Visser, is a world renowned CSR academic, advisor, writer and speaker, whose work has taken him to 75 countries over the past 25 years. He is the author of 20 books on CSR, with a PhD in CSR. 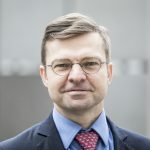 He is Professor of Integrated Value and Holder of the Chair in Sustainable Transformation at Antwerp Management School and a Fellow at the University of Cambridge Institute for Sustainability Leadership. 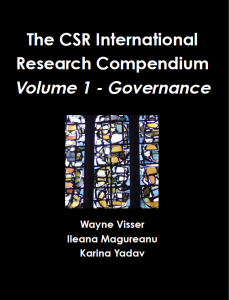 CSR International conducts and compiles research on corporate sustainability & responsibility and shares this through publications like: The CSR International Research Compendium (Volume 1 – Governance, Volume 2 – Environment, Volume 3 – Society), and Corporate Sustainability & Responsibility: An Introductory Text. See also our News page provided by 3BL Media. 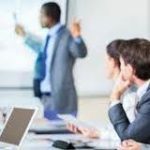 CSR International offers a variety of online and in-situ training courses, including for example on: Foundations, Practices & Frontiers of CSR, Transformational Leadership & Becoming a Future-Fit Organisation, Sustainability Innovation & Growing Effective Change-makers, Business’ Human Rights & Responding to the Refugee Crisis, and Transformative Social Responsibility & Creating Integrated Value. CSR International has a variety of CSR diagnostic and facilitation tools, including Classic CSR Assessment (measures against CSR codes & standards), Advanced CSR Assessment (measures transformative CSR practices), Hexagon Stakeholder Dialogue (quantifies feedback & consensus actions) and S2M Certification (based on sustainability, measurement & mediation). Members can be Trained and Licensed to use these tools, or Certified as organisations (for S2M). 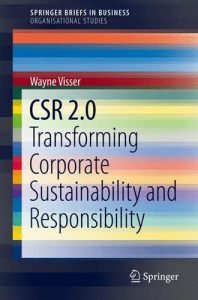 CSR International and its founder Prof. Wayne Visser have published numerous landmark books on CSR. 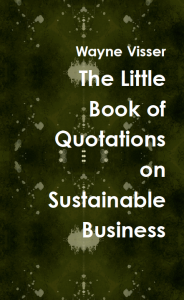 This unique collection of 100 quotations on sustainable business by Dr Wayne Visser is designed to challenge and question, as much as to inspire and inform. 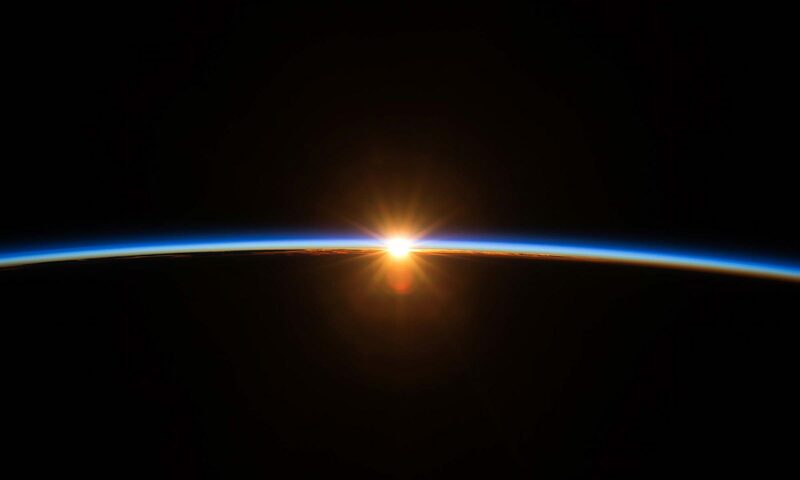 The quotes – taken from the extensive writings of Dr Visser – range from the role of business in tackling our global sustainability challenges to why our efforts on sustainability have so far failed to make a meaningful difference. The key message is that, for sustainability to be achieved, we need to change the way we perceive business: its purpose, its methods and its impacts. Buy the paper book. 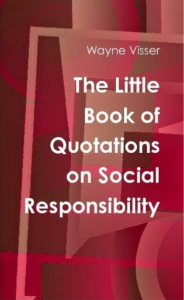 This unique collection of 100 quotations on social responsibility by Dr Wayne Visser is designed to challenge and question, as much as to inspire and inform. 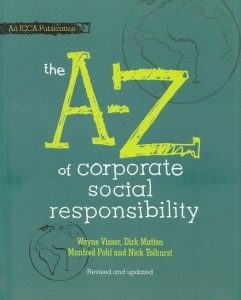 The quotes – taken from the extensive writings of Dr Visser – range from the role of business in society and companies’ accountability to stakeholders, to the importance of social justice and the need for transformative – rather than defensive, charitable, promotional or strategic – CSR. The key message is that, for business to survive and thrive in an age of responsibility, it must embrace an ambitious social purpose. Buy the paper book / Buy the e-book. 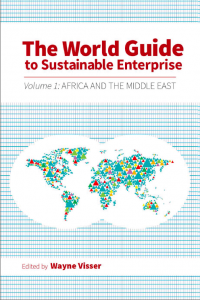 The World Guide to Sustainable Enterprise is the first comprehensive global compendium that clearly describes the national approaches to sustainable enterprise. Volume 1 covers 28 countries and two sub-regional profiles (Middle East & North Africa and Sub-Saharan Africa). Through a systematic review of each country, this quick-to-access reference guide showcases the similarities and differences in each region. Every country profile includes key information about the relevant history, country-specific issues, trends, research, and the leading organizations operating in the field as well as best-practice case studies. Buy the paper book / Buy the e-book. The World Guide to Sustainable Enterprise is the first comprehensive global compendium that clearly describes the national approaches to sustainable enterprise. Volume 2 covers 22 countries and two sub-regional profiles (Central, East & South Asia and South-East Asia & Oceania). Through a systematic review of each country, this quick-to-access reference guide showcases the similarities and differences in each region. Every country profile includes key information about the relevant history, country-specific issues, trends, research, and the leading organizations operating in the field as well as best-practice case studies. Buy the paper book / Buy the e-book. 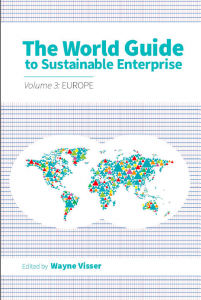 The World Guide to Sustainable Enterprise is the first comprehensive global compendium that clearly describes the national approaches to sustainable enterprise. Volume 3 covers 33 countries and two sub-regional profiles (Eastern & Southern Europe and Northern & Western Europe). Through a systematic review of each country, this quick-to-access reference guide showcases the similarities and differences in each region. Every country profile includes key information about the relevant history, country-specific issues, trends, research, and the leading organizations operating in the field as well as best-practice case studies. Buy the paper book / Buy the e-book. The World Guide to Sustainable Enterprise is the first comprehensive global compendium that clearly describes the national approaches to sustainable enterprise. Volume 4 covers 19 countries and two sub-regional profiles (Northern & Central America and South America). Through a systematic review of each country, this quick-to-access reference guide showcases the similarities and differences in each region. Every country profile includes key information about the relevant history, country-specific issues, trends, research, and the leading organizations operating in the field as well as best-practice case studies. Buy the paper book / Buy the e-book. Sustainable Frontiers throws down the gauntlet to business to step up and be the catalyst for a sustainable future. It presents eight keys to unlocking transformational change – through leadership, enterprise, innovation, transparency, engagement, responsibility, integration and future-fitness. Far from being another tame review of corporate social responsibility and sustainable business initiatives, the book dispels the myths of sustainability and challenges us to let go of old systems that are failing to deliver economic, social and environmental transformation. Buy the book / Buy the e-book. 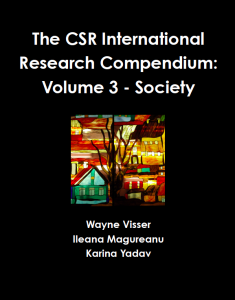 In this Compendium, CSR International has compiled summaries of the best research on corporate sustainability, social responsibility and business ethics since 2009. Volume 1 on Governance profiles over 450 research publications between 2009 and 2014 – including practitioner reports, market surveys and academic papers – from over 300 authors and more 250 organisations. Specifically, it contains research abstracts on the following governance-related topic areas: accountability, transparency, ethical behaviour, responsible investment, stakeholder interests, and fair operating practices. Buy the paper book / Buy the e-book. 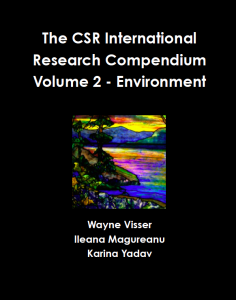 In this Compendium, CSR International has compiled summaries of the best research on corporate sustainability, social responsibility and business ethics since 2009. Volume 2 on Environment profiles over 500 research publications between 2009 and 2014 – including practitioner reports, market surveys and academic papers – from over 80 authors and more 400 organisations. 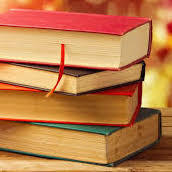 Specifically, it contains research abstracts on the following environment-related topic areas: sustainable development and the green economy, sustainability practices, sustainable resource use, prevention of pollution, climate change, protection of the environment and biodiversity, and sectoral approaches. Buy the paper book / Buy the e-book. In this Compendium, CSR International has compiled summaries of the best research on corporate sustainability, social responsibility and business ethics since 2009. Volume 3 on Society profiles over 400 research publications between 2009 and 2014 – including practitioner reports, market surveys and academic papers – from over 180 authors and more 280 organisations. Specifically, it contains research abstracts on the following society-related topic areas: human rights, labour practices, consumer-oriented CSR communication, consumer social and environmental responsibility, and community involvement and contribution community development. Buy the paper book / Buy the e-book. The book examines the evolution and current state of corporate social responsibility (CSR), using a five-stage maturity model: defensive, charitable, promotional, strategic (all CSR 1.0) and transformative CSR (CSR 2.0). Reasons are given why CSR 1.0 approaches have failed to have any significant impact on the most serious global social, environmental and ethical challenges. The emergent CSR 2.0 is explored in detail by elaborating on five principles underlying the new approach, including: creativity, scalability, responsiveness, glocality and circularity. A four-part DNA Model is also introduced, covering value creation, good governance, societal contribution and ecological integrity, which provides the basis for defining and measuring CSR 2.0. 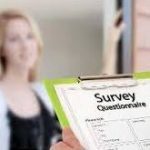 Finally, a 70-question CSR 2.0 self-assessment diagnostic tool developed by the author is presented, with sample data to show how the tool can be used for future research and practitioner application. Buy the paper book / Buy the e-book. In 2010, Dr Wayne Visser set off on a 20-country “quest” to talk to entrepreneurs, business leaders and innovators and learn about how companies in all parts of the world can and are helping to tackle the world’s most pressing social and environmental problems. The result is this treasure trove of a book, full of stories, ideas, extracts from more than 100 interviews, best practices and tools for making sustainable business work in a myriad of different contexts, cultures and settings. 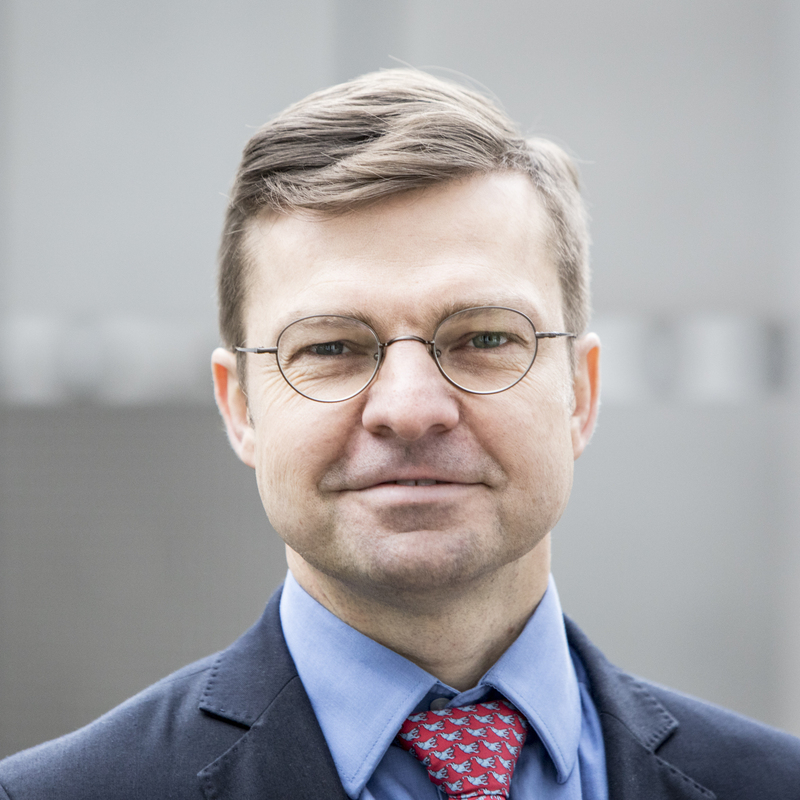 Besides sharing insights from his 2010 “CSR Quest World Tour”, the author captures his professional experiences and the evolution of sustainable business over the past 20 years. Buy the paper book / Buy the e-book. 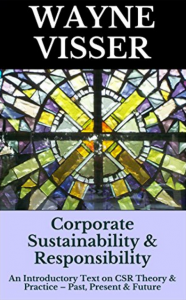 Here is a comprehensive textbook that introduces students and practitioners to corporate sustainability & responsibility (CSR) theory and practice, looking at the past, present and future. The text includes 25 case studies and over 60 sets of discussion questions (nearly 200 questions), which allow teachers, students and practitioners to reflect on the presented content and to discuss, debate and dig deeper into the issues. The text itself is written in a highly readable style, without sacrificing academic rigour (there are over 200 references cited). The result is an inexpensive, accessible and searchable introduction to a management discipline that has become critical to the future of business, written by one of the world’s leading authorities on the subject. Buy the paper book / Buy the e-book. Traditional corporate social responsibility (CSR) approaches have failed, leaving business stuck in the Ages of Greed, Philanthropy, Marketing and Management. Using Web 2.0 as a metaphor, Visser shows how business needs to radically transform if we are to ever reach a true Age of Responsibility. The required systemic approach is dubbed CSR 2.0 and characterised by five key principles: creativity, scalability, responsiveness, glocality and circularity. Citing more than 300 cases to illustrate ‘the good, the bad and the ugly’, the book describes how the new DNA of business is fast being decoded in the areas of value creation, good governance, societal contribution and environmental integrity. 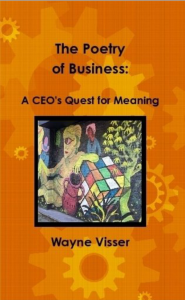 Having set out a compelling vision of the future, Visser describes how to get there by exploring change at the societal, organisational and individual level.Buy the paper book / Buy the e-book. 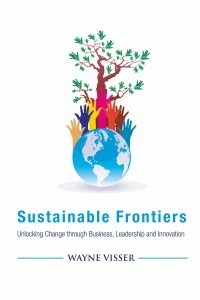 This is the first book to provide comparable national profiles that describe the evolution and practice of Corporate Sustainability and Responsibility (CSR) for 58 countries and 5 global regions. Each regional and national profile includes key information about the relevant CSR history, country-specific issues, trends, research and leading organisations. The purpose of the book is to give CSR and sustainability professionals a quick reference guide to CSR in different regional and national contexts. The book is an edited volume, with expert contributors from around the world. Buy the paper book / Buy the e-book. CSR has now moved beyond the stage of specialist or niche subject to become an integral part of global business and society. This timely encyclopaedia is destined to become the definitive guide to CSR, sustainability, business ethics and the organisations and standards in the field. 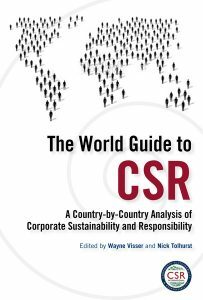 This book is the culmination of over a hundred of the world’s leading thinkers, opinion formers, academic and business people providing an easy-to-use guide to CSR. This paperback edition includes all the latest developments in CSR as well as incorporating new sections on boardroom pay, the sub-prime market and the financial crisis. Buy the paper book / Buy the e-book. It was time to leave. A bitter-sweet time. The CEO felt sadness, but also contentment. The business he had conceived and birthed and nurtured was mature enough to stand on its own feet now; to live out its own life. Ironically, the way he saw it, the company was not the legacy he was leaving at all. The real value was in the way in which the business lived and breathed and kept its people engaged and passionate. That was the real gift he had given them. And that was why he was leaving behind his scruffy notebooks in the boardroom cabinet – those dog-eared, tea-stained pages on which, over the years, he had jotted down his ideas. Scrawled untidily were the lessons he had learned along the way: about how to make a business ‘fit for human beings’; about how to survive in commerce and still sleep soundly at night; about how to create a company that served society, instead of the other way around. So many thoughts … Buy the paper book.